Wired or wireless Intercom systems for any application. 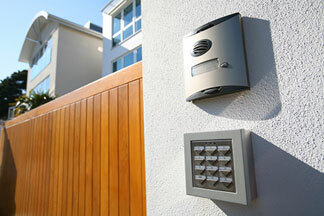 Seeing and hearing who is outside before letting them in can help improve your door’s security. What sets Locksmith Miami apart from other local locksmith companies is the will to help our customers get what they want and need in a timely and professional manor. As president of Locksmith Miami I know how frustrating it can be when you need to secure a gate or other access point and companies don’t respond in a timely manor. You can be sure that we will get the job done right and in a timely manor.